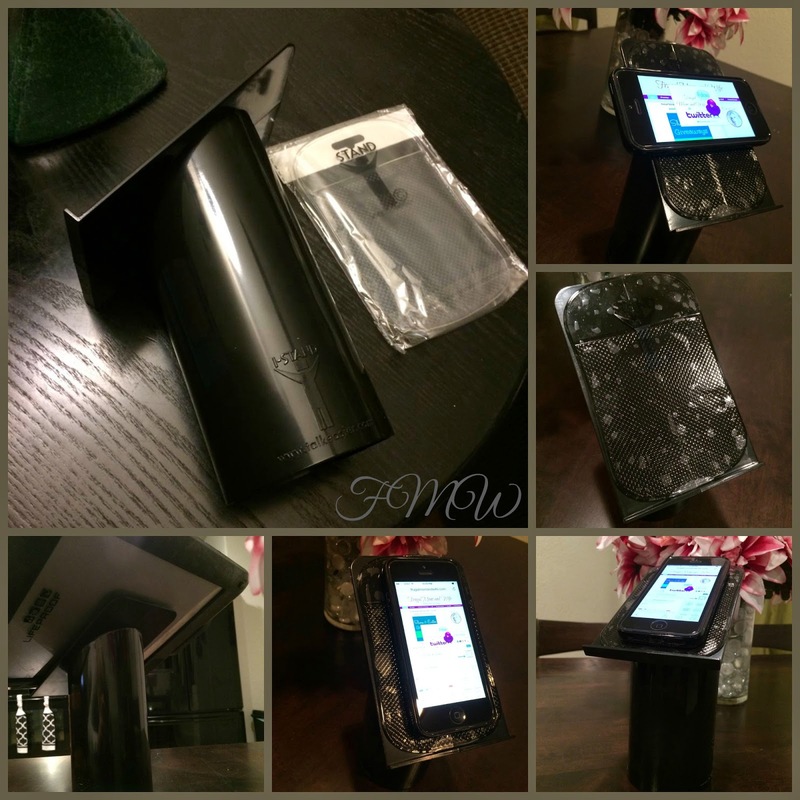 Frugal Mom and Wife: Helping Hand iStand Review! When I am on the go I always have my cell phone in plain sight. Whether it's on my car door, lap or cup holder it's there clanking around. Not fun at all. Especially if for some reason I need to slam on my brakes or take a sharp turn it goes flying across my car. My iPhone is pretty expensive and being the frugal person I am the last thing I want to do is replace it due to it being smashed. What if someone calls? I don't want to take my eyes off the road any longer than it would take to check my speedometer. The iStand has completely solved all those problems for me, let me tell you how. The Helping Hand iStand will hold your phone or tablet securely on your desk, kitchen counter or in your car, truck or boat without moving or breakable parts! It's made of heavy duty ABS plastic and comes with a washable sticky pad. Use it also to hold your phone while making a video by simply turning the HH on it's side and sticking the phone to the sticky pad. That means I can record video in the car like all the trendy people do, yippee! Seriously look out for a video "wink, wink". Available in black or white you can't go wrong. My car is black so it's absolutely a perfect color match! 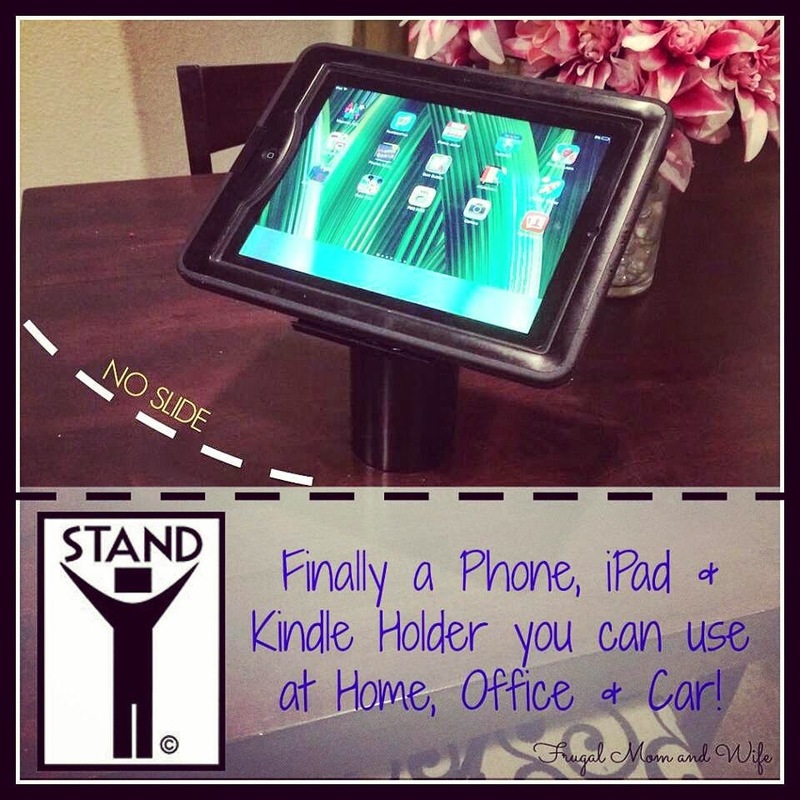 Minus the air-bubbles (which gradually work their way out) the iStand is completely awesome! Most of all the uses I really love this stand for my daughter. She has both an iPad and an iPhone so when at the table she can have her devices displayed for perfect viewing without arching her back or neck. No need to get a crick if you don't have to. That's not all the awesomeness this stand can provide. Once you have put your Kindle on it, you will never go back. It eliminates the crick in your neck and back with the ideal display for your reading pleasure. Honestly the Helping Hand is a dream. The added sticky secures each device in place without any residue or damage created to your shell. The sticky can be cleaned for those times where all the fuzz and crumbs in the world seem to find their way to it, just rinse it off. You can also purchase additional replacements if needed. 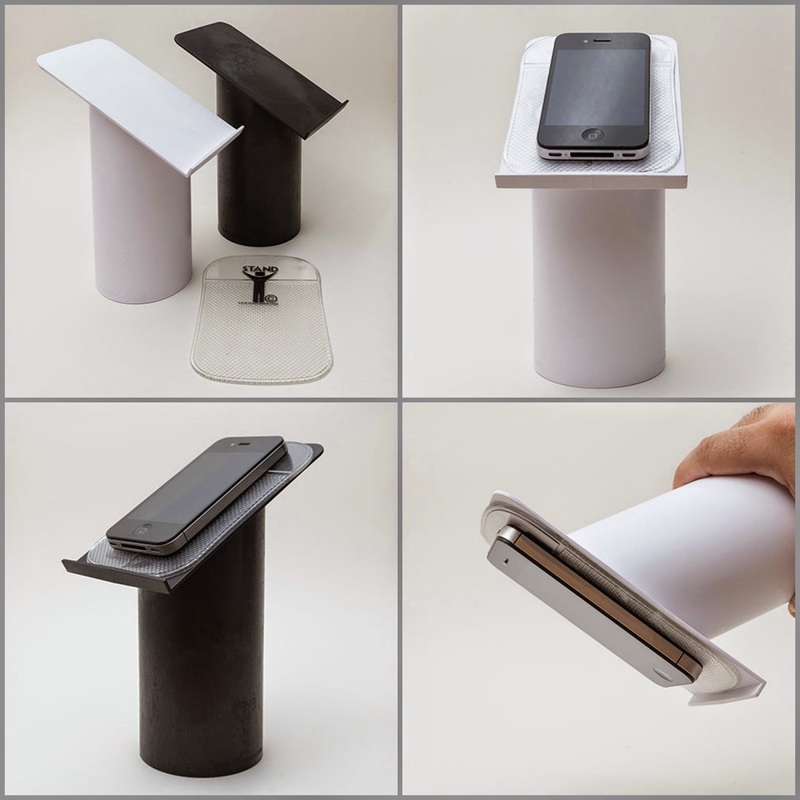 I highly recommend this stand because of the versatile use and outstanding design. No more sliding devices, it stays where you put it. That not only makes your devices safe but really gives you a literal helping hand!